Steve Grand meets Steve Grand! 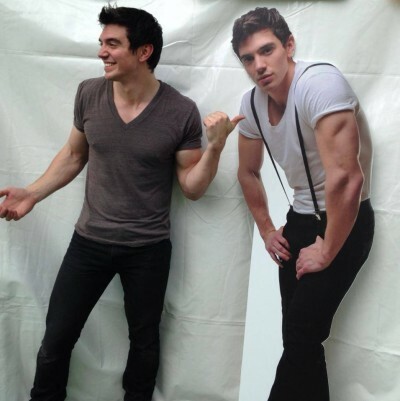 Steve Grand met up with the hunkiest cardboard cutout that I’ve seen in a long time while in Minneapolis. There was some rain but in the spirit of Diana Ross in New York Central Park in 1983, the show wet on. I wonder if his triceps are available on iTunes….